Fifa’s Football Committee have chosen the ten best goals of 2012 and it includes a classic strike by Hatem Ben Arfa. Hatem’s brilliant dribble and shot into the roof of the net against Blackburn in the FA Cup, has made the final ten alongside goals by players such as Messi, Neymar and Falcao. You can remind yourself of our French genius’ goal by watching below and then make sure you click the following link and register your vote by November 29th. 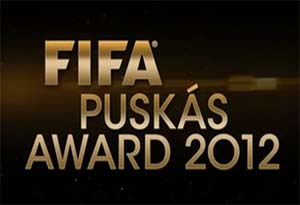 At that point the three with the most votes will go forward to another vote to determine the winner of the 2012 FIFA Puskas award which will be presented at the FIFA Ballon D’or 2012 Gala on January 7th 2013, spookily exactly a year to the day that Hatem Ben Arfa produced this moment of inspiration against Blackburn.